yesterday I attended the Libelle zomerweek, which is a sort of 'household exhibition' but outside and more with fashion, beauty and food. I have been going every year for the past 8 years and I always really enjoy it. If your wondering what I bought in 2011 click here & 2012 click here. I don't know why but I never uploaded my haul from last year. But on to the haul of this year! & also did a Lush make your own bubble bar workshop and made my own bubble bar for my boyfriend. 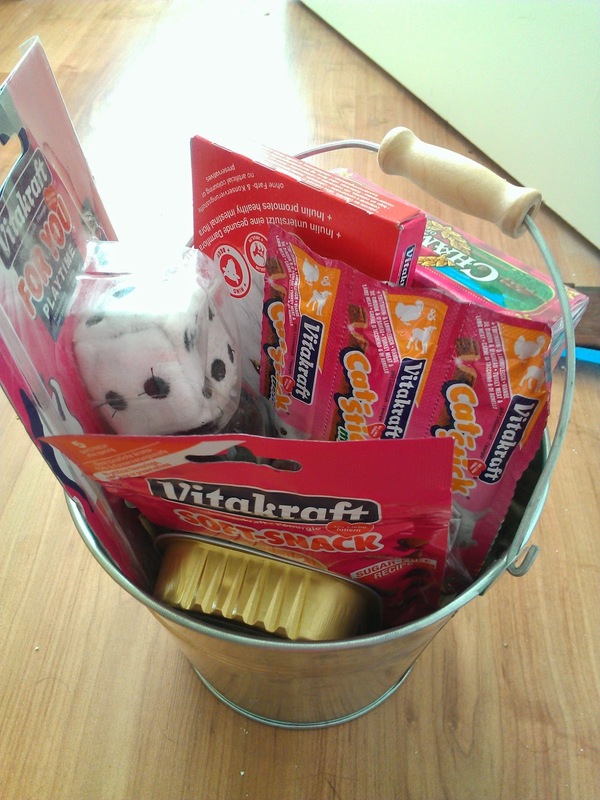 I bought his amazing buckled filled with 3 kinds of cat candy, 2 different cat toys and some cat food for my cat for €5. I'm going to buy a plant for in the bucked so my cat can enjoy it. And last but not least a panorama shot of the libelle zomerweek 2014 to share the amazing weather we had.